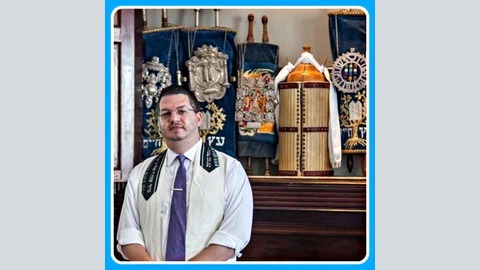 Rabbi Michael E. Harvey of the Hebrew Congregation of St. Thomas, was ordained by the Hebrew Union College – Jewish Institute of Religion in 2015. He earned a Master’s degree in Hebrew Letters from Hebrew Union College – Jewish Institute of Religion & a Bachelor’s degree in psychology from Boston University. Throughout his tenure at HUC-JIR, Rabbi Harvey served congregations, small & large, in Arkansas, Missouri, Ohio, Alabama, Mississippi, & Texas. Certified as a Prepare & Enrich marital & pre-marital counselor, Rabbi Harvey served as a chaplain at both Norton Hospital & Kosair Children’s Hospital in Louisville, Kentucky. He is committed to interfaith education & social justice, locally & nationally. His dedication to both these areas can be seen in the work he has done with The Center for Holocaust & Humanity Education, the American Jewish World Service, The Ecumenical Institute at Bossey, & The Chautauqua Institution. Rabbi Harvey sits as a board member for the United Way of the Virgin Islands, Salvation Army Advisory Board, Catholic Charities of the Virgin Islands, Advisory Board of the UVI Center for the Study of Spirituality & Professionalism, & Downtown Revitalization Faith Group. He also serves on the Development Committee for the Family Resource Center & is the founder & president of the newly formed Interfaith Council of the Caribbean. Plus, he proudly serves as a member of The Rotary Club of St. Thomas Sunrise, as part of Rotary International. 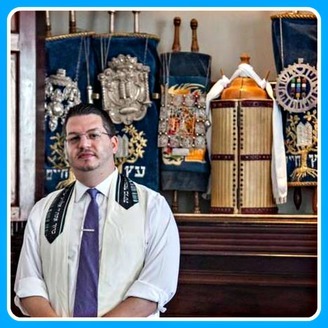 Additionally, he is a member of the rabbinic advisory council for the Jacob Rader Marcus Center of the American Jewish Archives, “The B’nai Ya’akov Council.” Rabbi Harvey lives happily in St. Thomas with his wife, Barrie, and his son, Asher.